A man-made containment dam used to stretch across here. It was built to keep oil in the creek from flowing into the pond. 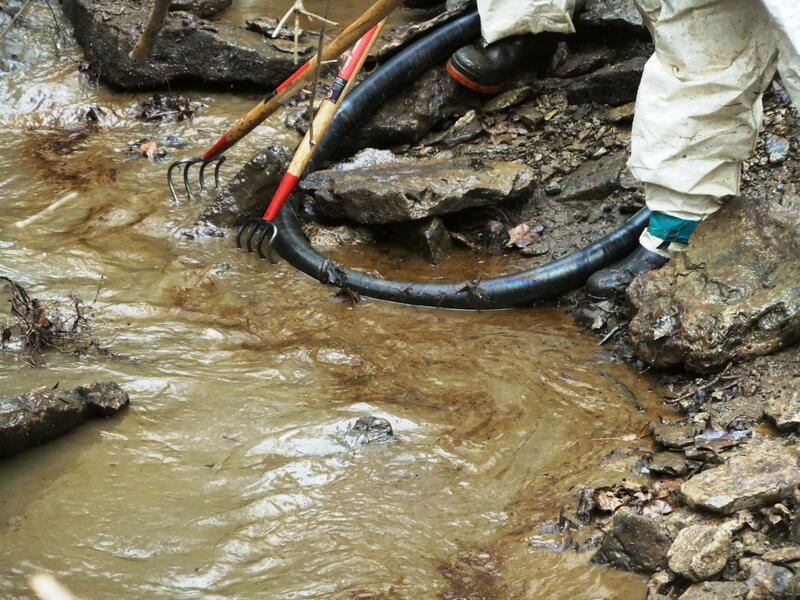 Crews used rakes to dislodge oil as hoses sprayed the contamination downstream. The dark brown streaks are oil. The stream during initial cleanup in April 2014. The stream during restoration in March 2018. The view, however, remains vastly different than it was before the Mid-Valley Pipeline burst on March 17, 2014. 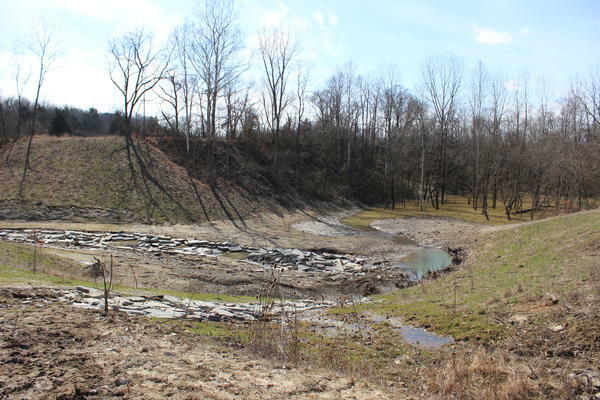 "There's been a big change here because this used to be a containment dam that was built to contain oil that came from the pipeline spill in 2014," says Bret Henninger, chief of conservation and parks with Great Parks of Hamilton County. Henninger is gazing down on a gully with a stream that gives way to a swampy pond. The creek bed is man-made, and it looks it. Large slabs of stone make it feel like a child's nature playscape. 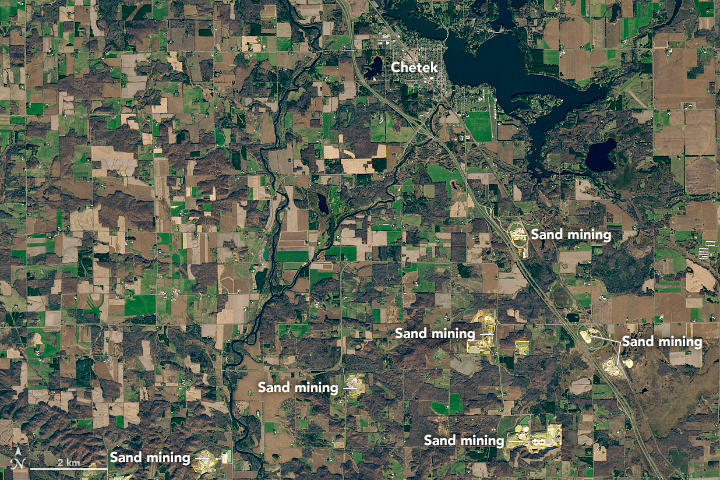 Dirt covers the banks rather than forest. "The site's starting to heal now," he says. "There's no (bull)dozers. There's no equipment in sight... It's nice to see the nature preserve begin to start to heal." During cleanup, crews used industrial hoses and rakes to unearth oil and push it downstream where it was collected and hauled away. That process caused massive erosion, widening the stream and destroying habitat. RELATED: Read more about the cleanup process. Restoration began about a year and a half ago. 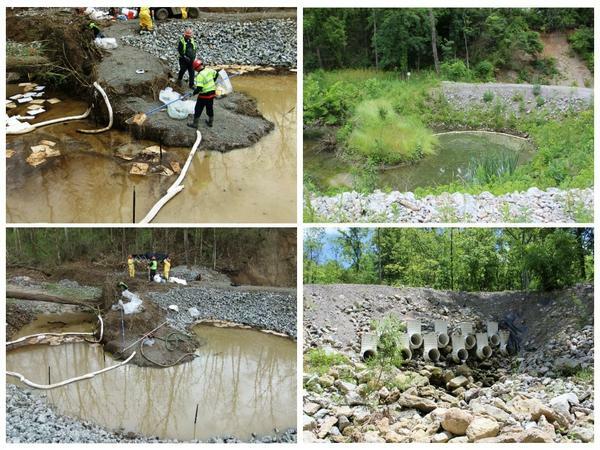 Before that, contractors for Sunoco Logistics removed roughly 19,000 gallons of oil. 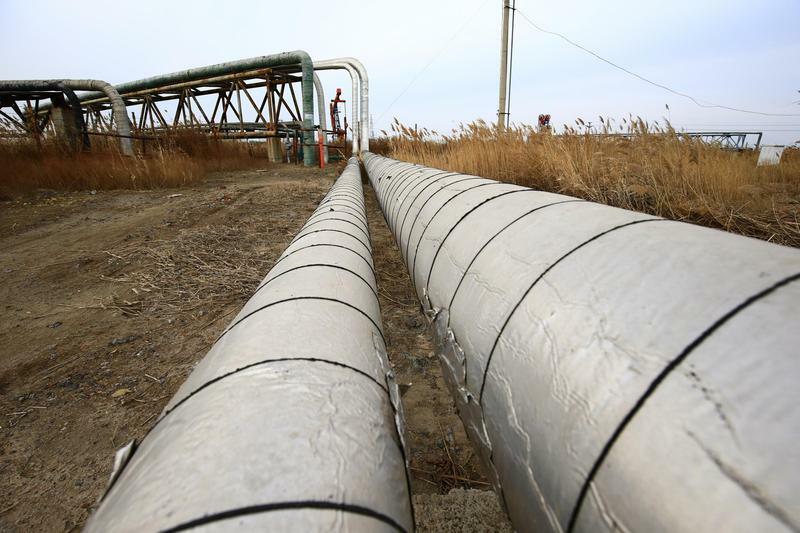 The company estimates 20,000 spilled from the broken pipeline. Well more than initial estimates of 7,000-10,000 gallons in 2014. It settled with the park district in 2016, agreeing to fund the cleanup, and pay out $923,000. 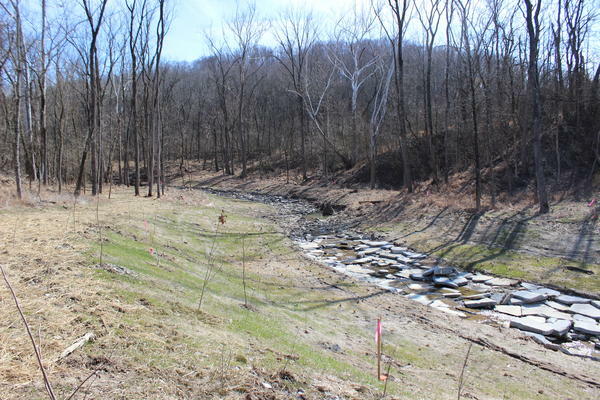 Spokesman Jeff Shields tells WVXU the company has "worked diligently with the Great Parks of Hamilton County and the Ohio EPA over the past four years that the Oak Glen Nature Preserve is properly restored to the satisfaction of all landowners. "This was a cooperative effort involving multiple parties, and today the major restoration is done. We will be monitoring the site for the next 10 years and making any repairs and/or modifications as necessary." Oil remains at the site. Removing every last drop would've meant tearing out the forest, doing more damage than the spill itself. The goal now is to get the preserve back to a semblance of what it was. Hundreds of saplings replace gravel roads constructed during cleanup. Herbicides are weeding out invasive plants tracked in by workers that are overwhelming native species. 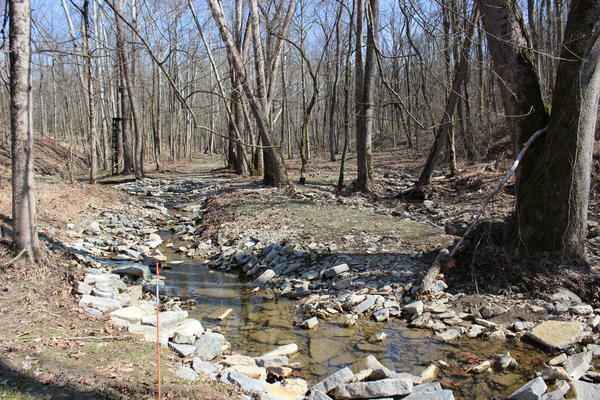 Scientists monitor the creek for signs of life like insects and cave salamanders - an endangered species in Ohio and a key environmental indicator. 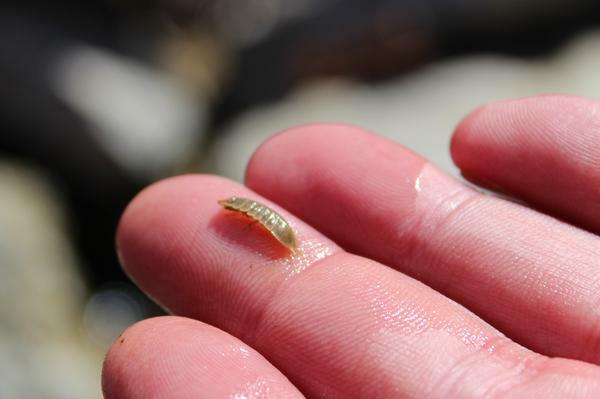 You won't find them if the water quality is poor. Great Parks is also waiting to see if the rare lark sparrow will return to the preserve's prairie. Great Parks Director of Marketing and Public Engagement Jennifer Sivak remembers vividly the awful moment when she first heard about the spill. Gazing across the preserve four years later, she's conflicted. "Right now, I think it looks like a different preserve than what it was, but as you come up the stream and go up even closer to the break, it starts to feel like the nature preserve that we know and love." Bret Henniger says protecting places like Oak Glen is important because it's a part of Ohio's history. These natural resources, he says, defined the region for hundreds of years. "I think it's preserving an extraordinary place. We want people to be able to visit places where they can imagine themselves in that place 2-300 years ago and this is one of those places where when you get deep into the woods up on the hill you forget you're in a metropolitan area, a county of 800,000 people. It's a pretty neat place." Oak Glen remains closed to the public. Restoration should wrap up this summer. After that, the preserve will re-open once U.S. Fish and Wildlife, the Ohio EPA and Great Parks are convinced the plants and wildlife are stable and humans won't affect their return. 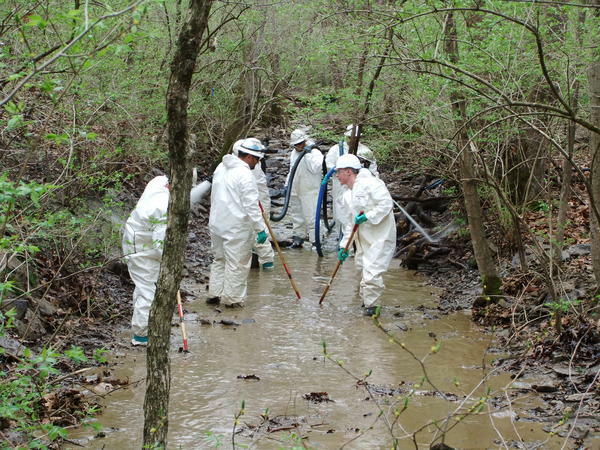 In March, 2014, Hamilton County Park rangers at the Oak Glen Nature Preserve discovered an underground pipeline running through the preserve had ruptured, releasing approximately 20,000 gallons of crude oil. Cleanup began almost immediately and most of the oil was recovered, but the preserve's habitat was severely damaged and restoration efforts are still underway. 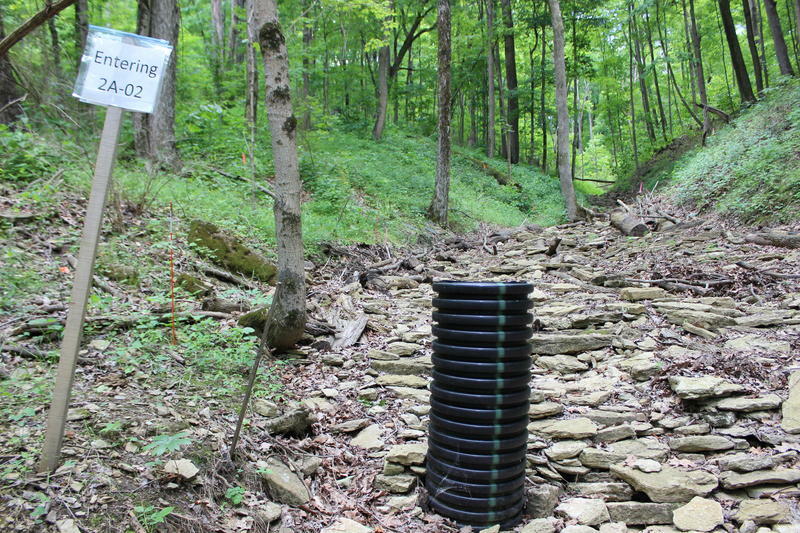 Great Parks of Hamilton County says it's reached a settlement with Sunoco Pipeline. An oil line ruptured in March 2014 releasing thousands of gallons of oil into the Oak Glen Nature Preserve.